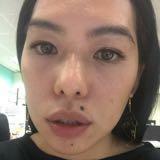 @laurae22 is on Carousell - Follow to stay updated! 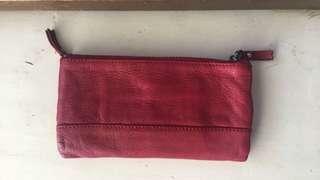 Amazing red leather wallet from Country Road. Lots of card slots. Both sides zip open. Preloved but lots in good condition. Postage $7 or meet up in Hobart available. Gorgeous tan leather wallet. Lots of card holders and slots for Organization! In great condition. Postage $7 or meet up in Hobart available. 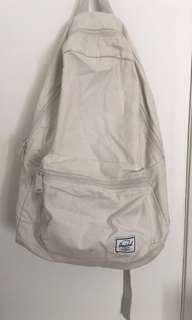 Herschel canvas backpack. A light yellow/cream colour. Fits a standard size laptop. One pocket on the front. Used with a few marks and one small hole but definitely lots of life left. Postage $9 or meet up in Hobart available. 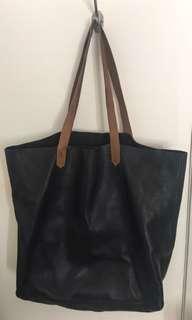 Gorgeous genuine buttery soft leather bag. Black with tan leather straps. One internal zip pocket. In good condition with a few small marks, lots of life left! Postage $12 or meet up in Hobart available. 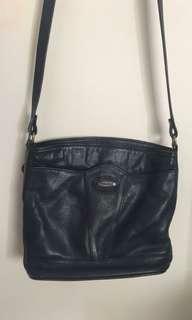 Gorgeous navy leather vintage bag. In great condition. Lots of internal and external pockets - great for organising. Postage $7 or meet up in Hobart available. 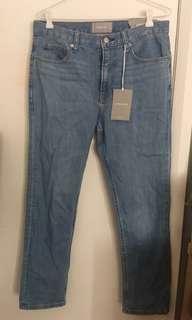 Awesome brand new with tags Everlane jeans. Sustainably and ethically made. Size 27 or fits 9 best. Postage $9 or meet up in Hobart available. 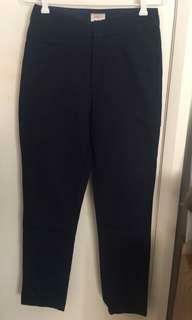 Navy peg leg pants from Gorman, size 8. Lovely thick woven material. Pre lived but in great condition, lots of life left. Postage $7 or meet up in Hobart available. 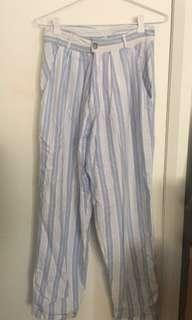 Gorgeous vintage pinstripe pants. Would fit a size 10 best, but could go 8-12 depending on what fit you like. Very soft cotton material. Peg leg shape, looks great rolled up. Postage $7 or meet up in Hobart available. 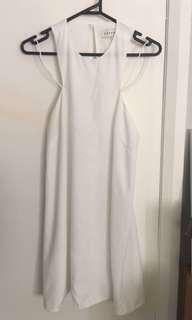 Stunning white mini dress from keepsake. Cut-out on the back, extra straps for detailing around the shoulders. Worn twice, in great condition with much life left! Postage $7 or meet up in Hobart available. 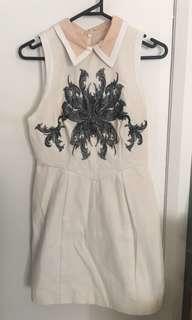 Beautiful cream dress with black embroidered flower by Cameo. Fully lined. Worn twice. Much loved but doesn’t fit anymore :( Postage $9 or meet up in Hobart available. 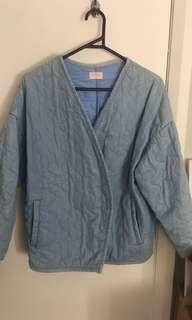 Awesome quilted chambray/denim-coloured jacket by Gorman. Preloved but in condition with lots of life left. Double fastening on the front and cute pockets! Postage $7 or meet up in Hobart available. 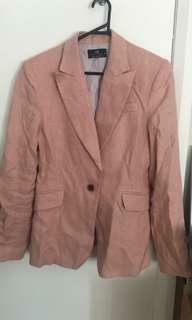 Gorgeous light/salmon pink linen blazer by Cue. Fits 12-14 best depending if you want it oversized. Postage $12 or meet up in Hobart available. 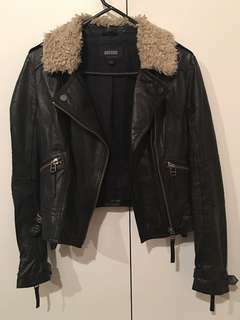 Cool black 100% leather jacket from Oxford. Lovely soft leather with lots of details. One of the top fastenings has come off, hence the cheap price. 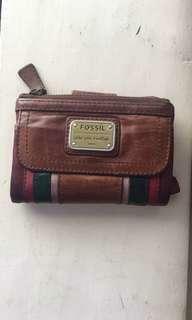 The leather detail could be stitched down or replaced. Postage $12 or meet up in Hobart available. 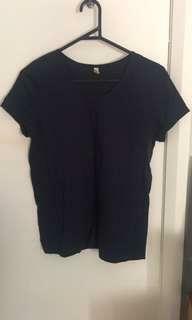 Very cute Gorman navy organic cotton t shirt, never worn. 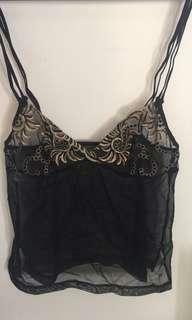 Size small or 8. Postage $7 or meet up in Hobart available. Gorgeous camisole by Simone Perele. 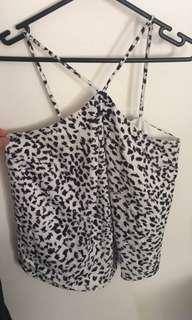 Tagged size 2 (fits 6-8 best). Please be aware the straps have stretched so may need to be re-sewn or pinned (hence the cheaper price). Aside from that a beautiful vintage piece! Postage $7 or meet up in Hobart available. Beautiful Keepsake strappy tip size 6. Worn a handful of times, still in good condition. Postage $7 or meet up in Hobart available. Gorman cotton button-up short sleeve shirt size 6. Gorgeous soft navy material. Worn a handful of times, in very good condition. Postage $7 or meet up in Hobart available. Beautiful Tigerlily top. 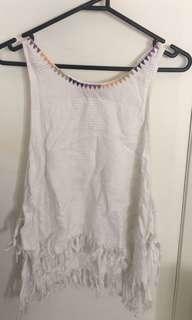 Size small or fits 8-10 best. 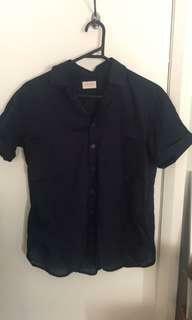 Small mark on the front (see photos) hence the lower price. Postage $7 or meet up in Hobart available. Lululemon bikini size 4. Bottoms never worn (tags and hygiene seal attached). Top worn a handful of times, like new. Postage $7 or meet up in Hobart available. 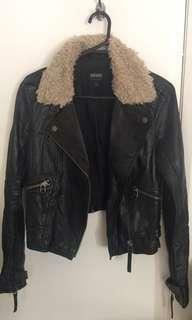 Awesome leather jacket with shearling trim from Oxford. Size 8. One pop-button on the shoulder has come off (see photos). Could be replaced.